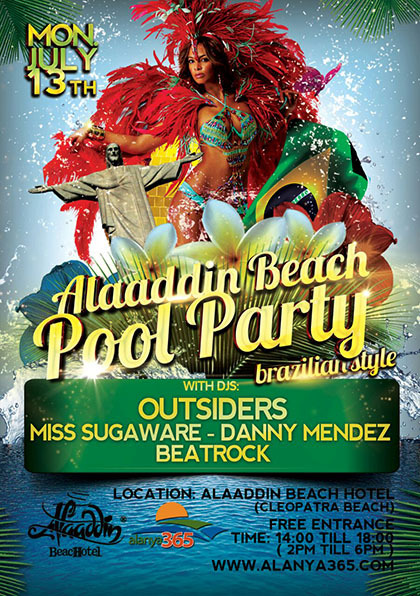 Come to Alaaddin Beach Hotel for an Awesome Pool Party on 13’th july 2015. With artists Outsiders, Miss Sugaware, Beatrock and many more.. 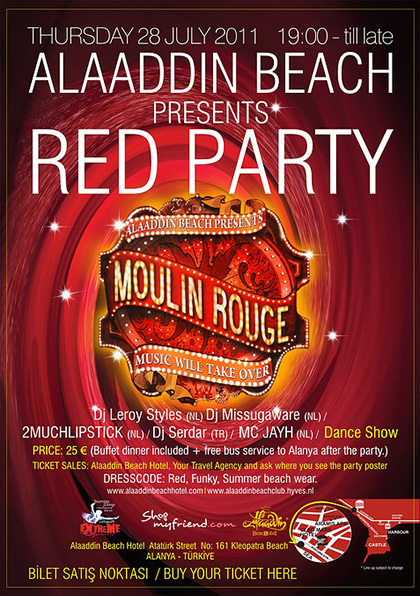 Check out our Moulin Rouge themed Red Party at Alaaddin Beach Hotel on 28’th july 2011.There will be DJ’s and an awesome dance show..